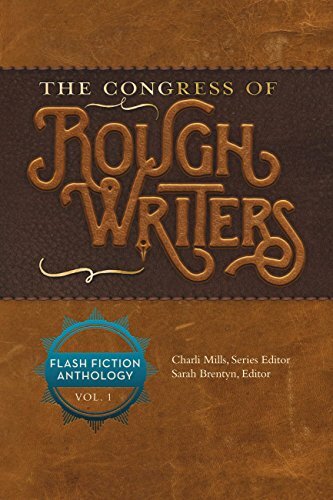 The Congress of Rough Writers is an anthology that showcases flash fiction from a diverse set of writers. What was your inspiration for putting this collection together? Carrot Ranch started as a sandbox — an online place to invite other writers to play for the sheer joy of creating literary art. The weekly flash fiction challenges created a safe space for writers to explore and push into their craft 99 words at a time. Maybe it was Julia Cameron’s teaching that we can be creatively healthy as we gain experience. We created a literary community with diversity that blows my mind every week. It’s uncoached and has no expectations beyond meeting the constraint and boldly going where the prompt leads. The writers inspire me to work with their material in an artistic way, to show how individuals of different backgrounds, genres, and levels can collectively create a powerful vision. I’m a little jealous because you got to work with so many talented writers on this project. What was the development process like in putting this work together? Right? The Congress holds some amazing talent. That’s what made me think of calling them the Congress of Rough Writers in the first place because I felt like Wild Bill Cody gathering talented riders from around the world and getting to play with their feats. The development process included coordinating with Sarah Brentyn who developed the structure from my crazy ideas to pull together memorists and fictioneers and build from their original material. I’ve become enthralled by the challenge of putting together collections of 99-word stories, and it’s like a secondary artwork to me. Norah Colvin developed my ideas for building community and wrote a clear and compelling educational component. We had a great challenge throughout the process to uphold different styles of English from global writers. C. Jai Ferry line-edited the entire book and several other Rough Writers served as editorial advisors. It’s not easy melding world styles but we succeeded. It’s breath-taking to work with a large group of writers beyond submissions. I enjoyed how this collection showcased stories that were only hundreds of words long but managed to inspire some thought-provoking ideas. What was your favorite story from the collection? Just as any reader acknowledges, we often pick a favorite based on how it personally resonates. For me, that one story is Pete Fanning’s original 99-word “Normandy.” He manages to express what the combat veteran’s experience is like as he ages. The story gives me shivers every time I read that final line, “I was alone on that beach.” I’m a spouse of a combat veteran and we’ve had hard times. We are finally getting him VA care although it’s a fight every step of the way. As my spouse’s advocate, this is my battle. So, to read Pete’s story to a group of combat veterans and their spouses, there was not a dry eye in the room. This is the power of literary art in 99-words. Pete nailed it. Do you plan to put another anthology together? You bet! Right now, I’m working with 33 Rough Writers on seven new parts that will focus on what writers can do with serial material. We had several writers create returning characters or write follow-ups to interesting story developments in previous 99-word stories. I’ve invited these writers to craft complete three-act short stories up to three thousand words long. I’ve invited writers to write narrative essays to tell the real story behind a 99-word BOTS (based on a true story). Memoir expert, Irene Waters, will help me develop that section. 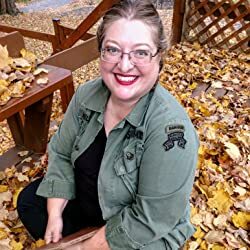 Educator, Norah Colvin, returns to help craft a new educational component that encourages writers to use their material in clever ways beyond a single use. We are also playing with three acts by piecing together three 99-word serials. Instead of creating chapters from prompt-linked flash fiction, I’m arranging hundreds of 99-word stories into 10-minute reading collections and connecting the stories in surprising and compelling ways. And, because Carrot Ranch is about making literary art accessible, I’ve invited 26 more writers as Friends to respond to new prompts. Each writer will include a 99-word artist’s statement in the new collection. It will publish in November after a rigorous editing process. I’m so excited to be working with such talent and passion for literary art. National Pearl Harbor Remembrance Day is observed across the nation this day in honor of all those who lost their lives serving this nation at Pearl Harbor. There were more than 3,500 Americans who lost their lives or were wounded on that solemn day. Think about that number for a minute. 3,500 Americans. That’s a lot of people! Each one of those people had families, neighbors, school friends, and home-town acquaintances that were emotionally stunned by the loss. The fact the attack happened on our own soil also had a profound effect. No wonder most able-bodied young men, and women, signed up to fight for our country. The American populace understood why we needed to get involved. I have the privilege of spending one morning a month with a WWII veteran in a writing group I belong to. He tells how a military member at that time had to earn points in order to be discharged from service, and he was one of the Americans that helped regain control of Rome for the allies. His history lessons are fascinating. He still wonders, 70 years later, why he was lucky enough to come home. If you have young people in your life that think WWII happened on another planet, in another time, because it was soooo long ago, please take a minute today and share some of your, or your parents, memories of what happened after the Pearl Harbor attack. It was a time when national pride was fierce and respect for our nation and it’s government was a given. Maybe even add a bit about that’s why we stand and place our hand over our heart when the National Anthem is played. It’s a sign of respect, unification and loyalty. Thank you to our veterans that keep us free.